Hunting for a natural foundation that works as well as regular drugstore or high-end foundations is hella hard to find. Some common problems are finding the right shade, the right coverage and something that can actually last for a whole 8+ hour workday. The foundation struggle is real with natural brands. If you’re a regular reader of my website (Yay!) then you probably recognize this photo from my Eco Diva Natural Makeup Haul Post. 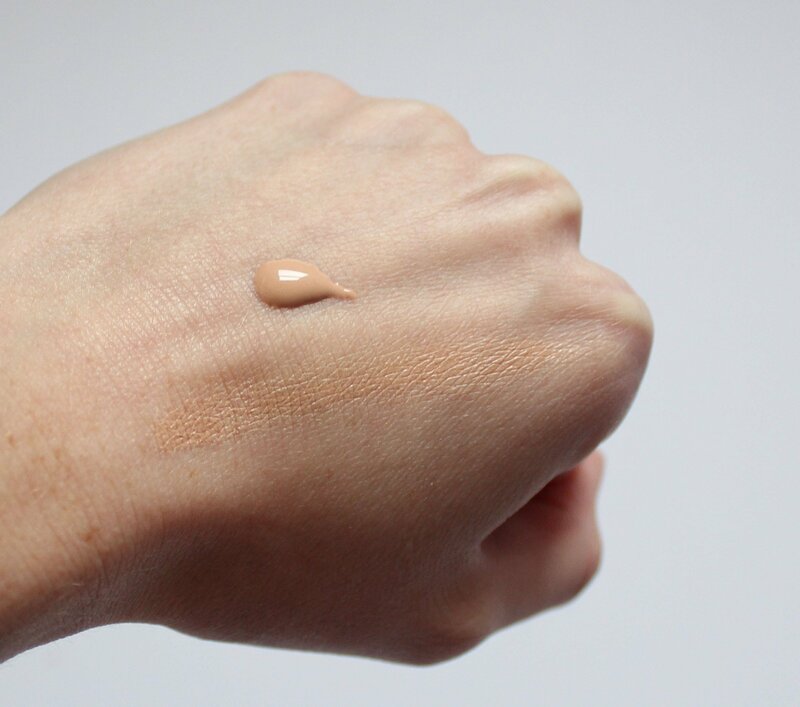 Although I didn’t go into great detail about my thoughts and feelings on this foundation – I’m sure that you gathered it is pretty darn good! Today I’m going to dive into the pros and cons of this product and give you a (hopefully) very in-depth and honest review. First, let’s Start with the price. 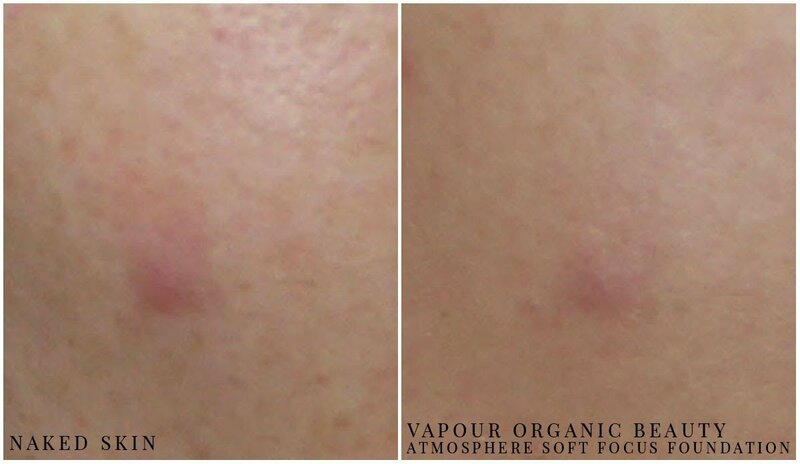 The Vapour Organic Beauty Atmosphere Soft Focus Foundation is regularly $67.50 CAD. Therefore it is one of the more pricey options – especially when you can purchase a bottle of foundation at the drugstore for $10.00. In my opinion the price is pretty justifiable because you aren’t getting cheap filler ingredients with this product like you most likely find in a drugstore product. Organic Camellia Oleifera (Camellia) Seed Oil. Extracted from the seeds of the Camellia Olefiera Plant. This oil is a great moisturizer + pH balancer. Silica. Sand. Most likely used as a bulking agent. Mica. Another form of sand, it is used for colour. Isocetyl Stearoyl Stearate. * A naturally occurring fatty acid found in vegetables + animals. It is used for skin conditioning and to control viscosity. Organic Cera Alba (Beeswax). Used as a skin-conditioning agent and as an emulsifier. Essential Oils and Natural Fruit Essences. Natural Fragrances. Wildcrafted Boswellia Carteri (Frankincense) Gum. Most likely used as a fragrance ingredient. Organic Ocimum Sanctum (Tulsi/Holy Basil) Leaf Extract. A naturally occurring preservative and skin conditioner. Organic Nelumbo Nucifera (Lotus) Leaf Extract. Most likely used as a skin-conditioner. This foundation has no unnecessary fillers unlike most foundations available from the drugstore. Of the 10 ingredients in this foundation none of them rated higher than a 2/10 on EWG’s Skin Deep website. Before + After Application of the Atmosphere Soft Focus Foundation s110. 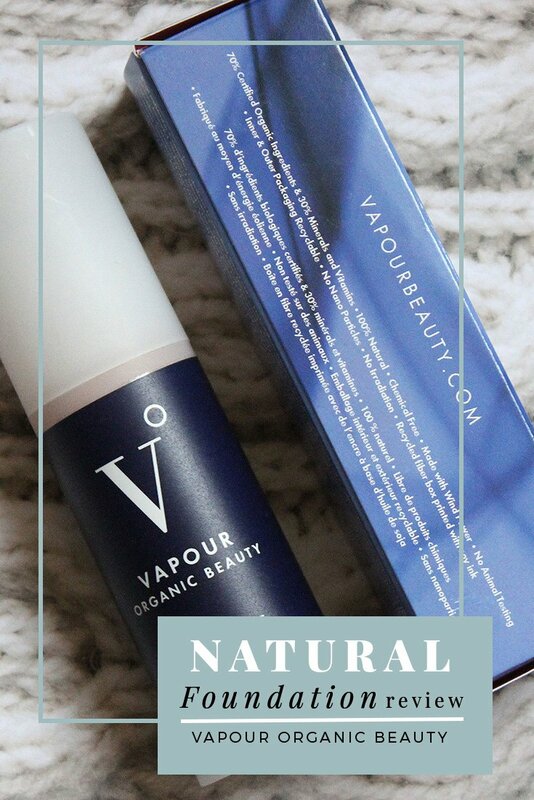 As you can see, the Vapour Organic Beauty Atmosphere Soft Focus Foundation (WHY DID THEY PICK SUCH A LONG NAME?) does help to cover up a bit of the redness, but it is still quite visible. Therefore I would label this foundation as a sheer-medium coverage depending on how much you build it up. It will not leave your skin looking flawless in one application, so don’t expect miracles. 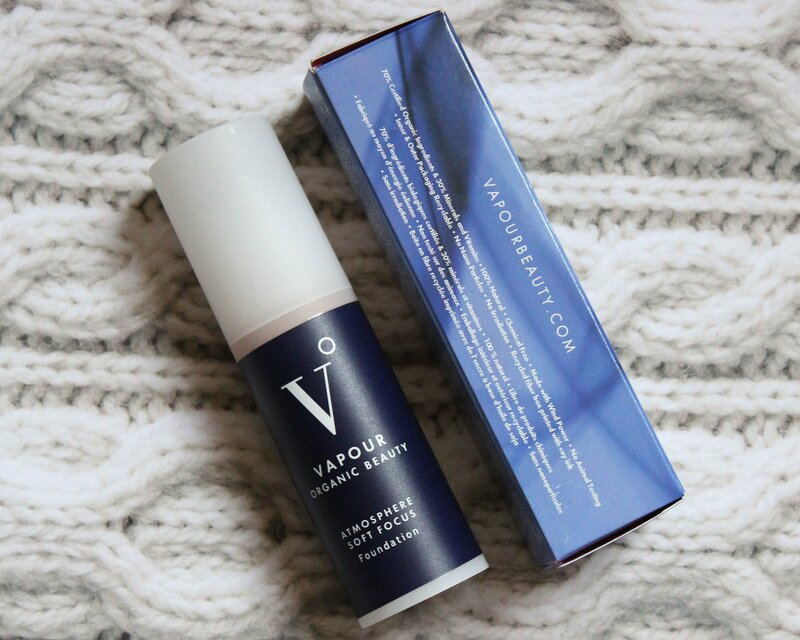 Luckily this foundation from Vapour Organic Beauty comes in decent shade range! They have 12 different shades ranging from very light to dark tones. I didn’t receive a sample before ordering… I just guessed my skin tone to be s110 (fair with pink undertones) which seems to fit really well. How does the Atmosphere Soft Focus Foundation Wear? If you have well moisturized skin I’m sure it will wear really well. However, now that it is in the midst of winter my skin has been quite dry…which doesn’t bode well with any foundation really. I have found that the foundation will cling to dry patches of skin and look quite unattractive. On the rest of my face it does wear really well. As long as your skin is not dry and patchy it will wear very well – lasting a whole 8+ hour workday. Especially if you set it with a translucent powder. Without a doubt. This is the best natural foundation that I have tried. The price is definitely not cheap, but you do get what you pay for. You are avoiding plenty of nasty ingredients and putting natural oils which will benefit your skin on instead. 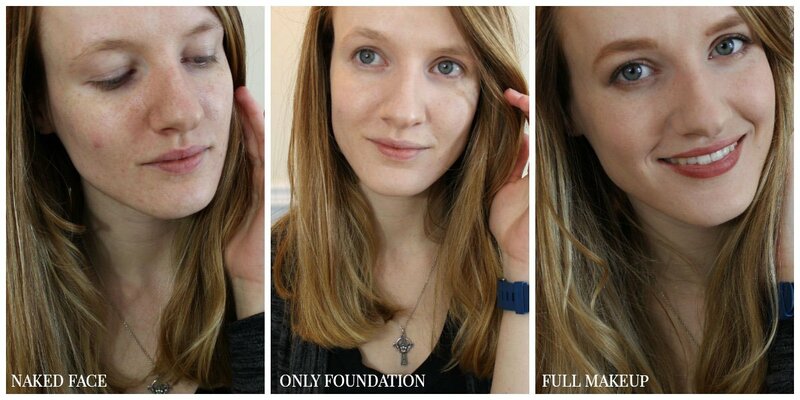 What coverage of foundation do your prefer? Sheer, Medium or Full?